We have a program called Value-Based Pricing. We teach freelancers, consultants, and professionals in client services how to stop trading time for money and price on value. The program includes a 72-lesson course, 3 custom developed pricing tools, and a live Q&A component. We spent years developing this program into a complete client work system. Build a client attraction pipeline. Discover the value of your work. Make more money while doing your best work. It’s much more than just pricing: the program covers everything from before you get your client until after the work is done. Attracting clients, vetting them, discovering value, pricing, proposals, contracts, setting expectations, doing the work, presentation, delivery, and case studies. You get the education, tools, and on-going support you need. This student gave me a rundown of a recent project and asked if I had any pointers on where he might have went wrong. He makes a fatal error that results in him cutting his price in HALF (and potentially leaving even more money on the table). 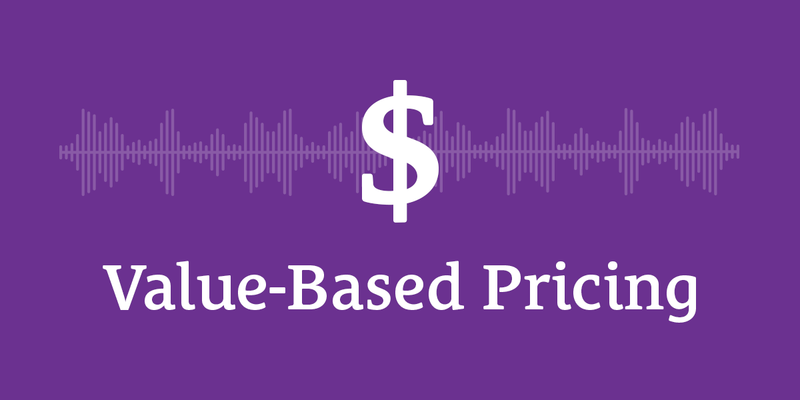 The way Value-Based Pricing works is you first uncover the value to the client. Secondly, you calculate a price based on this value and many other factors (it’s not simple—we had to develop three custom calculators to handle the math). The result is a 100% fair, logically derived value-based price. This price is mathematically designed to be a no-brainer to the client while also ensuring you make a profit. The client defines the value. You do not define the value. You do not influence the value. You do not suggest the value. This is something even our students wrestle with—and it’s not always easy to spot where you might be trying to convince the client of something they don’t already value. Steven gave me permission to share this recording with you.